This class series is hands-on and you can jump in at any time. You will receive a project handout, hands-on class instruction with your machine, a CD with videos, tutorials, embroidery designs, project ideas and step by step instructions. This is a perfect CD to put into your learning library! 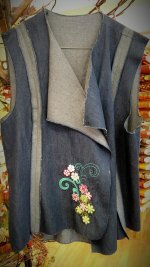 We have embroidery classes scheduled in the afternoon and evening. Join us to learn new skills from an experienced embroiderer.